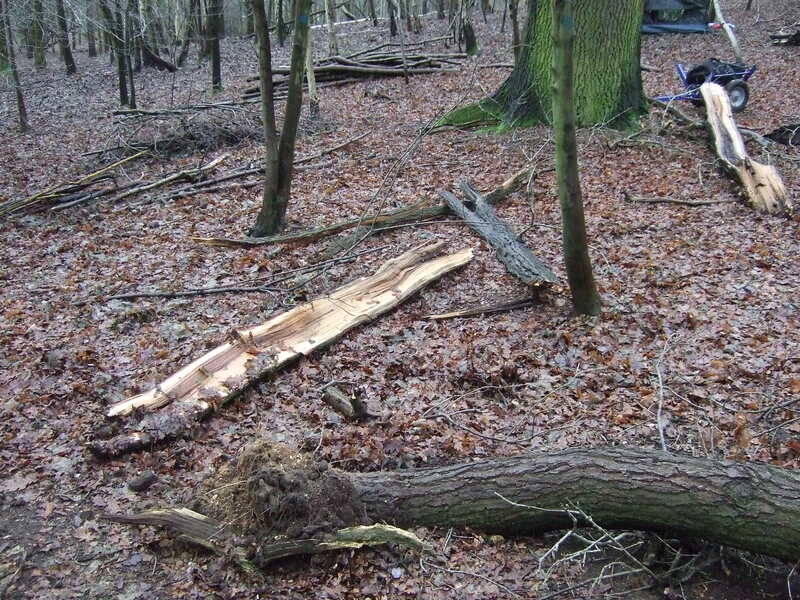 I went over to the woods on Friday 20th December and spent a few hours burning the brash and stumps left from when we created our vehicle entrance. I didn’t stay for the Winter Solstice sunrise in the end because heavy rain was forecast. I haven’t been back much since, in part due to the exceptionally wet weather, but on Wednesday I was in Hertford for a First Aid course and went to take a look before heading home. Whenever I approach the picnic table it is with slight trepidation, ever since the time it had vanished (I found it eventually, carried it back and nailed it down). 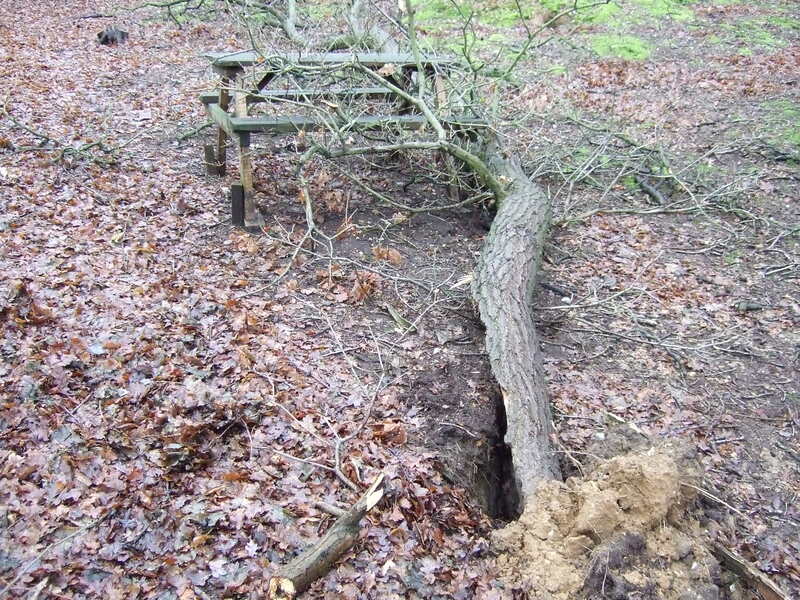 This time it had managed to avoid by mere inches being smashed into the ground by a falling oak branch. 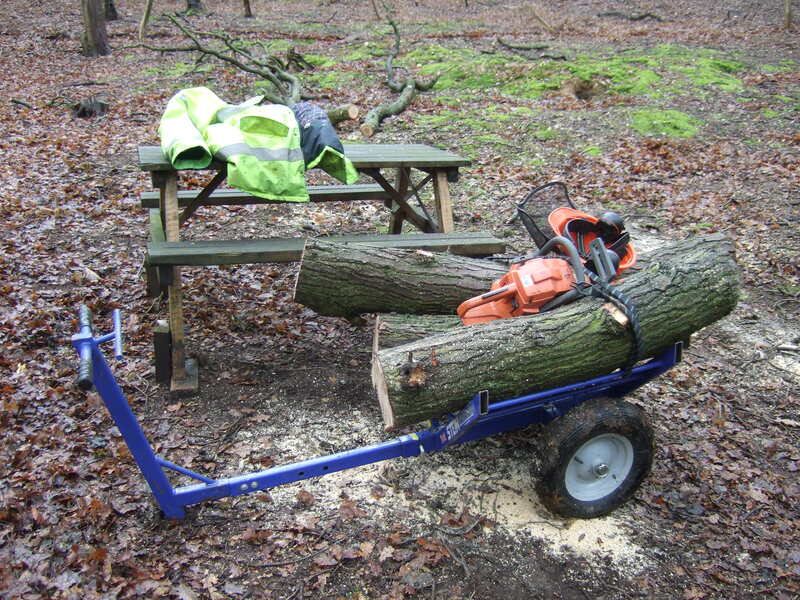 I returned today in the van with a chainsaw and trolley to remove the branch, some of which had been split apart by the force of the impact. I cut it into manageable pieces and carted them off to the van with my very useful Stein Arbor-trolley. Here are the last three bits loaded and ready to go. The bluebell bulbs we planted in October are starting to send up shoots and there are plenty of snowdrops again this year. I haven’t seen any this year. I always get sad if I miss snowdrops of a year. So thanks for the pic. Hopefully I’ll see some today out walking. 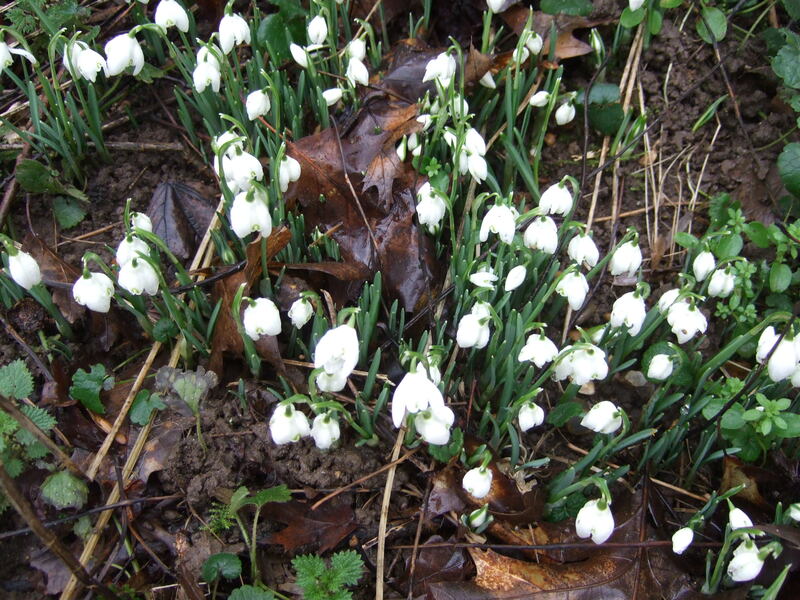 Hi Dan, I hope you enjoyed your walk and had your snowdrop wish fulfilled. Did you get a chance to watch the Amsterdam video I put on YouTube? Do you know anything about Ware Park Mill, I am frequently walking past the old derelict site and wondered if there was any source of local history on it? Thank you for the info and the swift response, I will check those out. I hope that all is well in the wood.